becoming a symbol of hope. joy and the simplicity of art. 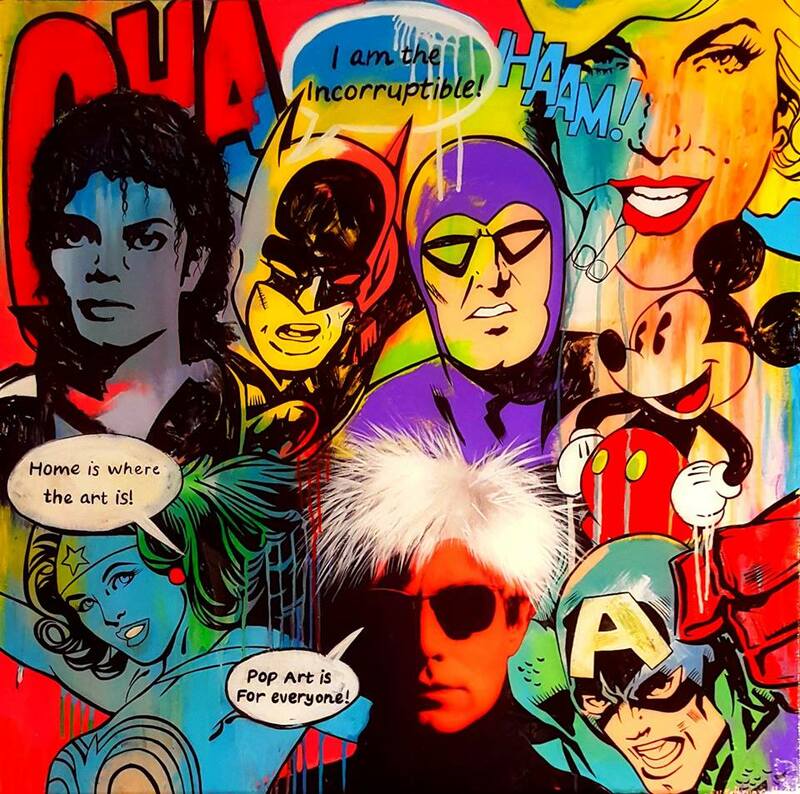 Sydney-based artist Kathryn Gallagher is well known for her acclaimed Pop Art paintings. Her works represent a visual, poetic and rhythmic blending of word, symbol and image. Her dynamic paintings are complex mash-ups of popular culture that savagely critique our media and advertising obsessed society, while still appealing to the child within. Kathryn’s work has appeared in various art publications and newspapers including: Australian Art Collector, Empty, Vivid Magazine, Phoenix Graphics and Art Almanac. Her work has also been featured on Cable television’s Studio Channel to coincide with Sydney’s Pride Festival.